one-year study guide collection will provide your student with a college-prep level World Literature high school course. It can also be adapted to honors level using the easy-to-follow suggestions in the “how to use this curriculum” introductory material. World Literature comes complete with study guides for nine books, each including background information, vocabulary, supplemental ideas, and answer keys. This book includes study guides written by Sabrina Justison. This product downloads as two separate PDF files. One file is intended for student use. These documents contain fillable fields so students can type their answers directly into each guide. The other document is the answer key, intended for the parent. (Note: there is no answer key for The Picture of Dorian Gray, however parent information is included) The introductory information for using this curriculum is included in both files. World Literature High School e-book text. Or click here to view an excerpt from World Literature. 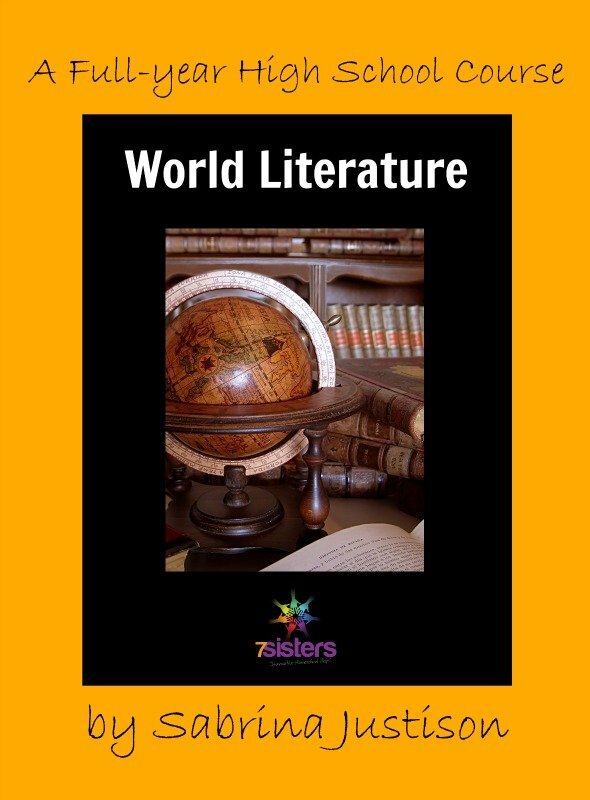 Click here for a REVIEW of 7Sisters’ World Literature from Curriculum Choice.